The rupee closed lower by about 290 points. 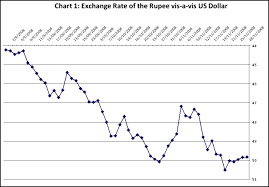 However, the inflow of some dollar results in the gaining of rupee by about 20 paise. The rupee opened at 47.96/97 and closed at 47.90/92 as against Monday''s close of 48.10. It touched an intraday high of 47.87/88 and a low of 48.06/07. The forward premia was relatively stable with the six-month closing at 2.61 per cent (2.75 per cent) and the one-year ended at 2.37 per cent (2.45 per cent).